Partner with a Leader in Youth Sports! Skyhawks is the Nation’s Leader in Sports Programs for Children. Skyhawks Sports Academy is the nation’s leader in sports programs offering camps, leagues, classes, and after-school programs for kids ages 5 to 14. Skyhawks is a brand with international exposure and appeal and coupled with SuperTots, a brand that offers classes and enrichment programs to kids ages 18 months to 5 years, has multiple ways to offer franchisees the ability to grow and scale a large and rewarding business. Since 1979, over two million children in 27 states and China have participated in a Skyhawks or SuperTots program! Over 40 years of experience have helped build a menu of successful sports programs dedicated to teaching life skills through sports. As a Skyhawks franchisee, you will focus on promoting Skyhawks programs and selling Skyhawks services by using your sales and marketing skills and your enthusiasm for athletics. You will concentrate on selling your services to community-based organizations that serve children. No matter the season, the core purpose of Skyhawks is to teach life skills through sports. Skyhawks franchisees build strong relationships with school and community decision makers becoming highly valued partners in youth athletics. While the majority of Skyhawks programs are offered in the summer, franchisees can run athletic events throughout the year. After-school, weekend and holiday programs are available to the ambitious franchisee. Why Choose Skyhawks Sports Camps? 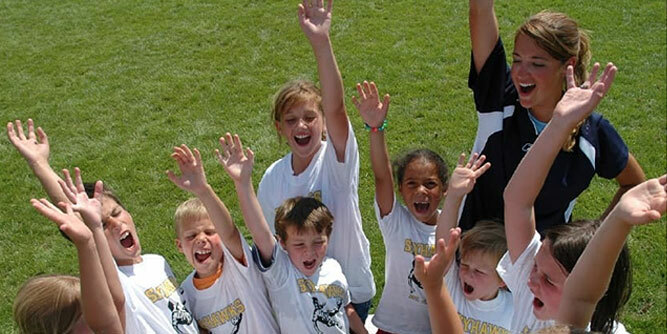 The Leading Domestic Youth Sports Company - In the past 40 years Skyhawks programs have welcomed over 2 million children in 27 states, teaching life lessons through sports and instilling a life-long passion for athletics and a healthy lifestyle. 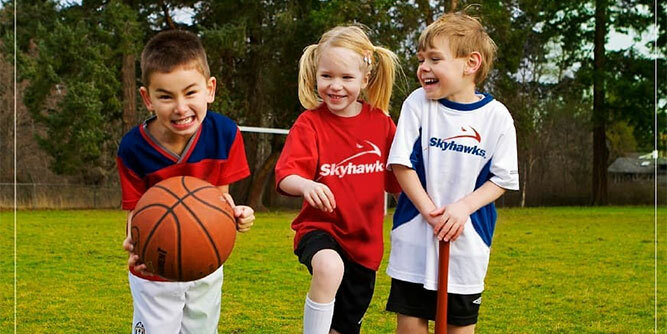 The Largest Array of Sports Offerings - Skyhawks franchisees can offer up to 10 different sports across a variety of programs including traditional summer camps, leagues, after-school programs, clinics, and classes to provide a variety of revenue streams throughout the whole year. Low Initial Investment and Quick ROI - Skyhawks’ low initial investment and low royalty fees allow our franchisees to see a return on their investment in a timely manner. Flexible Work Life - Being your own boss is one of the great rewards of joining the Skyhawks family. Work from home and set your own schedule so your work/life balance never tilts in the wrong direction. Potential to Open Multiple Territories Quickly - At Skyhawks we actively encourage our franchisees to open multiple territories as their business grows and expands. We are seeking long-term partners with our franchisees and the ability to build off your success, reach more children and grow your income is paramount to a successful business venture. Turn Your Passion into Your Profession - If you can make money combining your passion for athletics, children, and business why would you do anything else? As a Skyhawks franchisee, you will receive unparalleled support including two days of training at Skyhawks University, two days of onsite sales assistance in your territory, access and training in our proprietary software systems, experienced corporate instructors to lead your first staff trainings, call center resources, HR, accounting and marketing support, continually updated programs and curriculums for a vast array of sports, and yearly conferences to meet with other franchisees and discuss best practices.